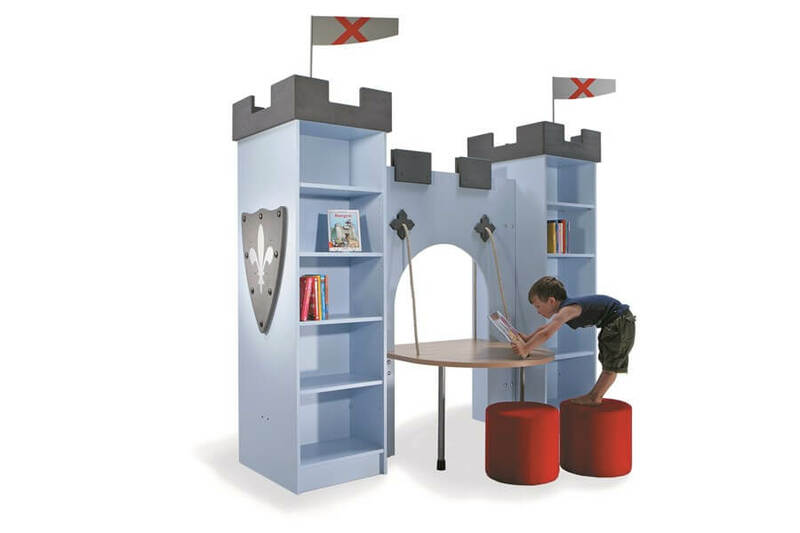 Princesses, knights, castles, fairies, and palaces haven’t lost their attraction with today’s children. Give them a fun, inspiring environment to learn and explore. And amongst us grown-ups, such a design is also perfect for storage. The castle will look great from the front as well as from the back. 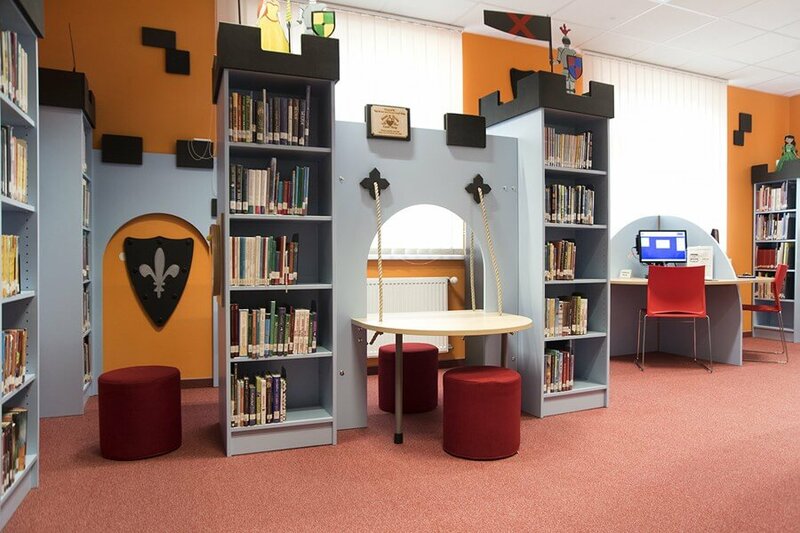 The shelf boards are height adjustable so that various media formats can be placed within. 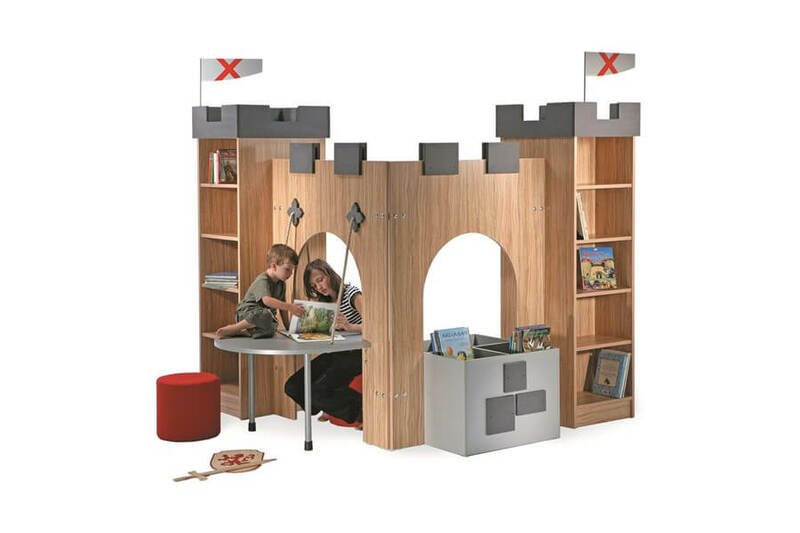 A sturdy drawbridge in the shape of a table creates knightly, generous reading, play and work options from both sides of this thematic world. 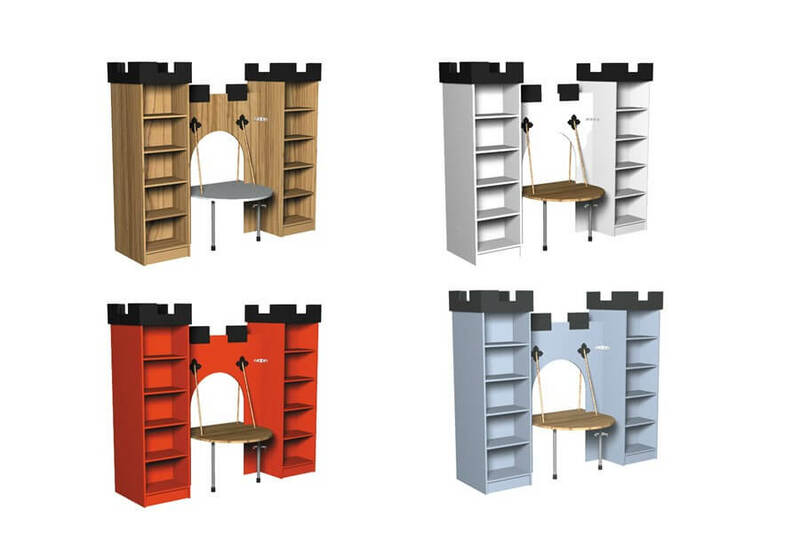 The shelf itself is integrated into this overall concept through side panels with theme-related motives.